Marketing automation is the term given to the process of streamlining sales and marketing efforts through the use of automated solutions via a software platform. 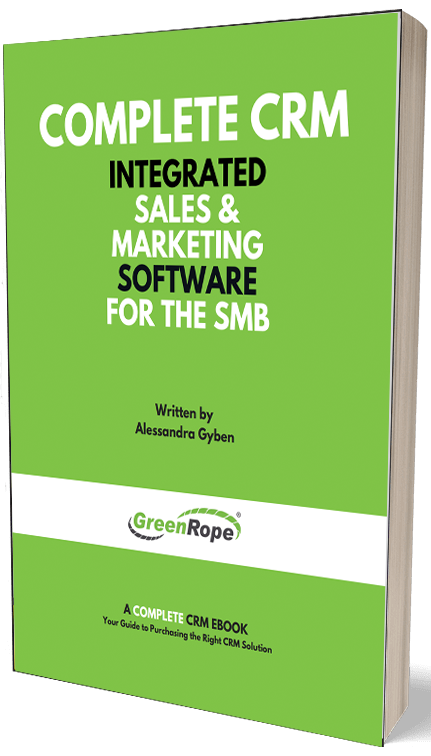 Software, like GreenRope, is designed to automate recurring tasks by identifying certain criteria that receive a particular outcome. An example of marketing automation could be simply a “Thank You” email to a customer that has recently signed up for your service or purchased a product from you. Instead of having to go in and create this email every time your company gains a new client, you can have a ready-to-go email that will be sent out after the action has occurred. To engage your marketing automation process further, it is important to integrate the process with your CRM system. Seamless integration will allow there to be a tighter bond between sales and marketing, ensuring that each contact gets the right message at the right time, resulting in higher conversion. Having the two synced with one another will also allow your sales people to better score their leads. Another great benefit of incorporating your email marketing campaigns and CRM is to trigger campaigns based on a contact’s behavior. A specific email may be sent out dependent on a lead/contacts activity. Perhaps they have received your “Thank You” email, and have now been inactive. A previously created email will be sent out asking whether they might need assistance or support with their new account or give them additional suggestions based on their previous purchase. Now, instead of monitoring each account separately, your software can do the work for you. This reduces human error and significantly improves the relationship between your sales and marketing department. To learn more about Drip Campaigns, a form of marketing automation, please click here to watch a video tutorial!